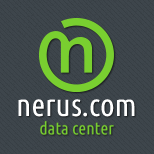 Nerus.com Data Center — Reliable performance. Fast results. Comfortable service.